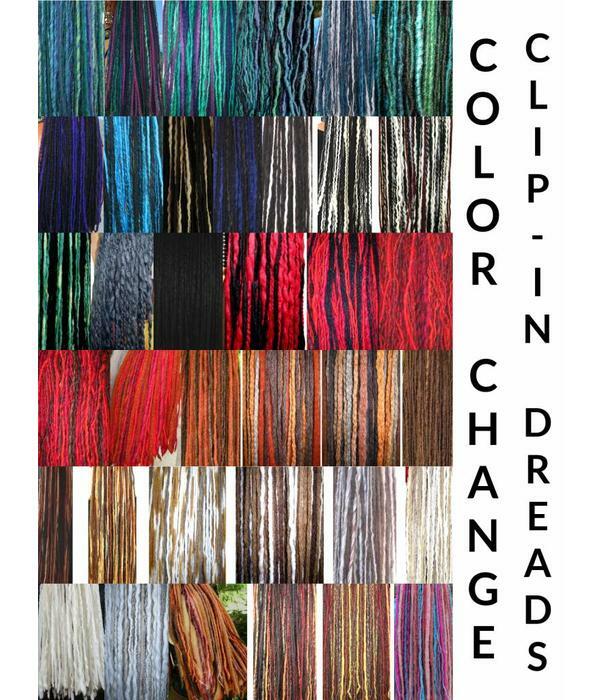 Color-customize my clip-in dreadlocks set! 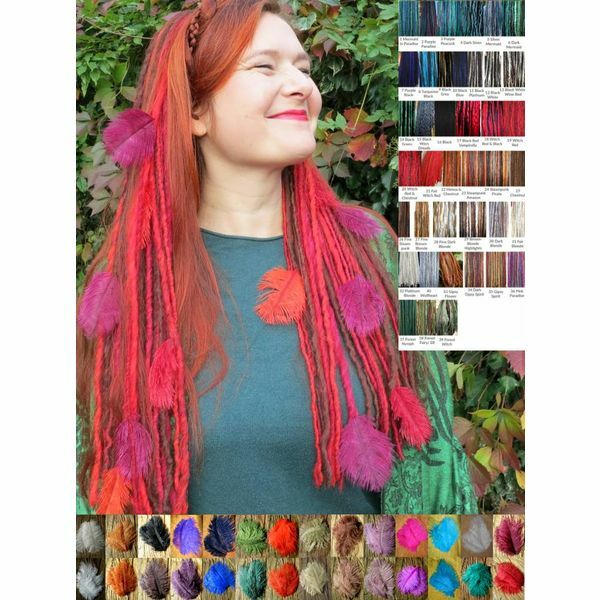 You love our dreadlocks but you could not find your exact color mix? 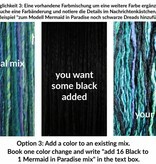 Maybe we can customize a model for you at little extra costs! 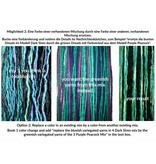 Please contact us before placing your order if anything mentioned below is unclear or if you are not 100 % sure that your desired combination is possible! 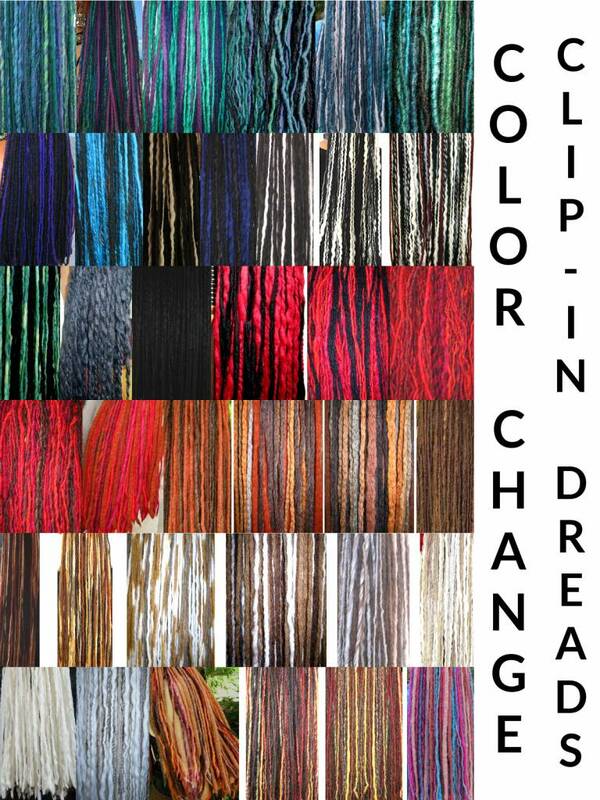 Color changes do not change the number of dreadlocks in your dread fall or in other words: We will keep the original number of dreads in your dread fall! 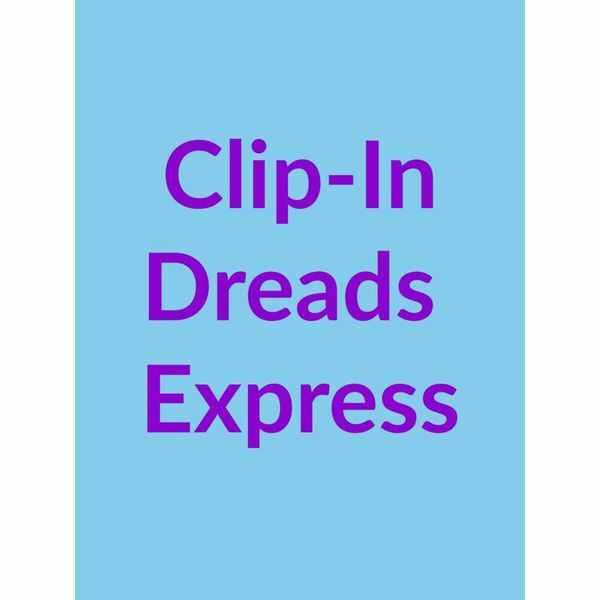 1st Put the dread fall that is closest to your desired mix to your cart. 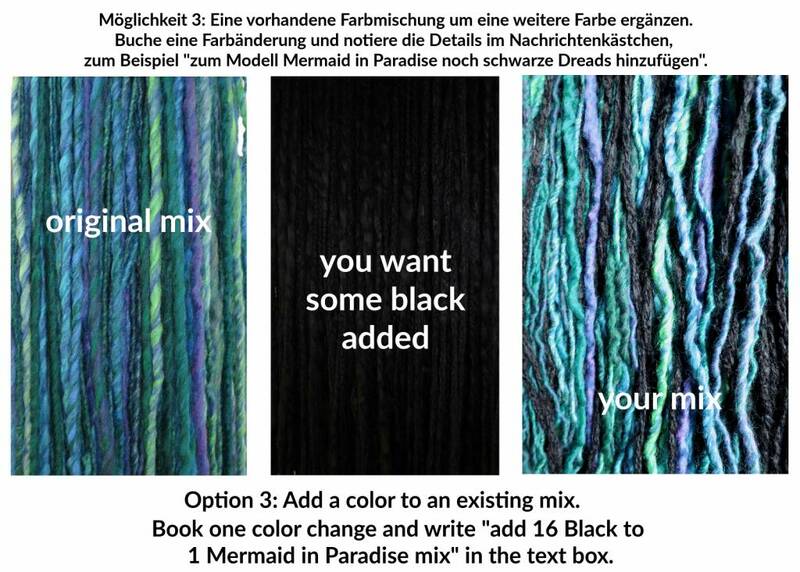 2nd Pick the right number of color changes for your dreadlocks length here in this upgrade listing and use the text box in the menu above to tell us which color in the original mix you want to leave out or replace. 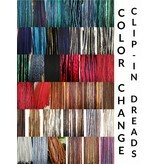 1 color change upgrade is sufficient for a dreadlocks-pair, too! 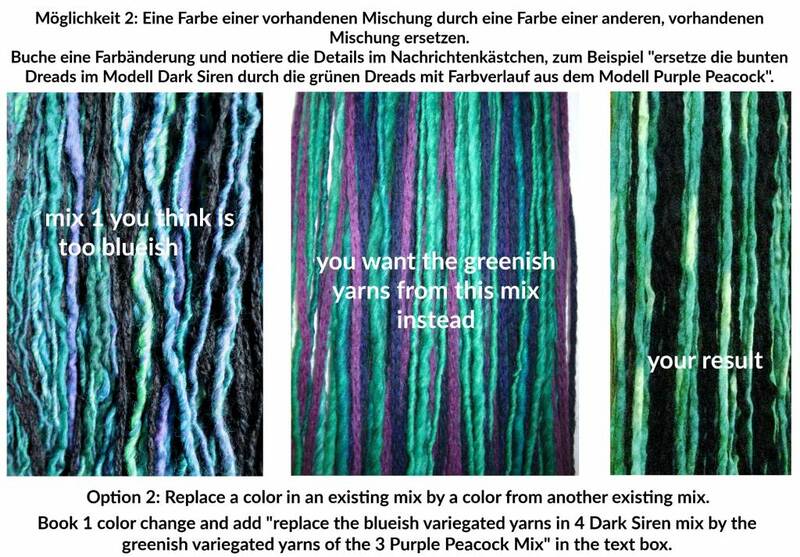 3rd If you want to replace a color, copy the link (the URL from your browser) to the mix that contains your color you want to add in the text box. 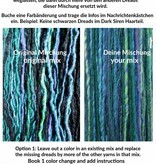 And don't forget to describe which exact color of the mix you want to add us, e.g. 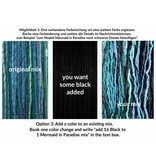 the dark brown in color mix blonde brown highlight dreads. 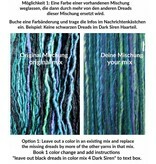 If you want two color changes, please pick respective option and explain both changes in the text box! Option 1: We can leave out a color in an existing mix and replace the missing dreads by more of the other yarns in that respective color mix. 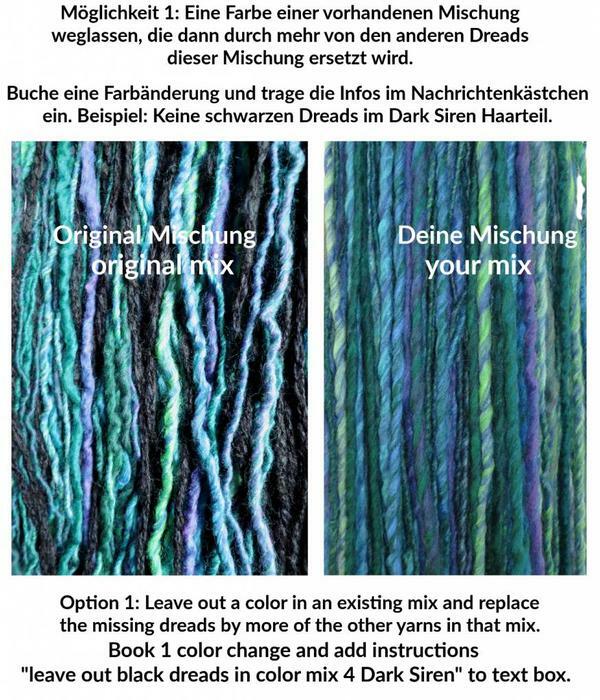 Option 2: We can replace a color in an existing mix by a color from another existing mix. 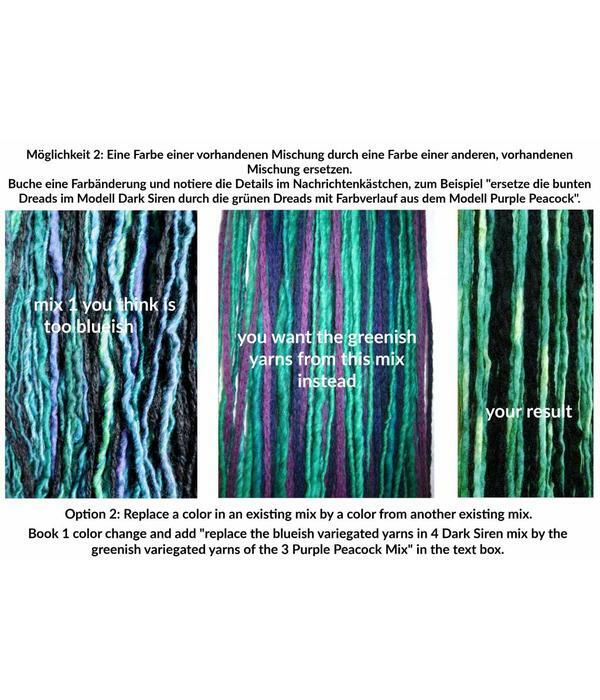 Option 3: We can add colors to an existing mix. 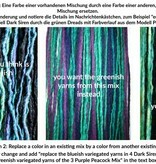 What we can't do is leave out a color that is within a variegated yarn, we can only leave out this yarn completely. 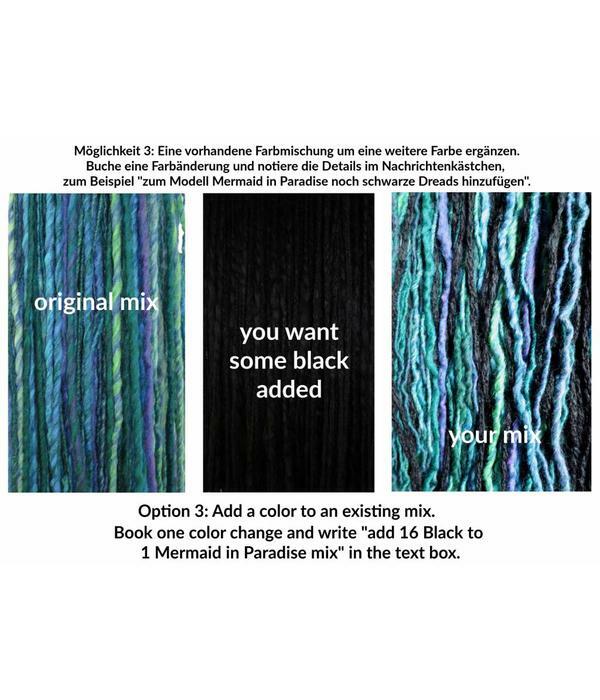 Please contact us if you wish to combine two of our entire mixes, which might not always look harmonious and which might need a different price as well! 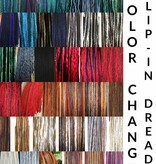 See pictures for examples for all possible changes! Don't buy this upgrade without a dread fall with ponytail attachment, this does not make any sense! 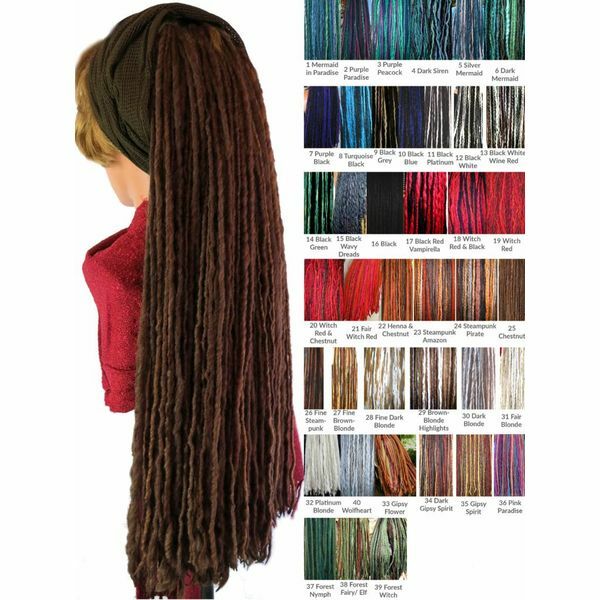 Please contact us for any question about our custom ponytail dread falls!